For serious gardeners or families, Surrey homes are tough to beat! A quick search around the Surrey real estate market for detached houses in the $200K to $400K range showed 24 properties. Some were excellent first time buyer homes, some earmarked to be torn down but one thing was the same for the majority – they all had really nice sized yards. And for growing families that’s gold. Families need the yard space for children to run around, build tree forts, install a trampoline and Surrey offers very nice lot sizes at reasonable prices. For the serious gardner, the trees are mature, but there seems to be a lot of opportunity to create a haven in the back yard with more shrubs, grasses, vegetable plots and the like. The houses reviewed had spacious yards but were mostly lawn (a missed opportunity for the seller as landscaping adds value to the house). So if good lots size need to be a major box to tick, then Surrey is the place for you. We reported a few weeks back that the Fraser Valley Real Estate Board had increased sales month-on-month and year-on-year according to its Multiple Listing Service (MLS®) stats. Fraser Valley real estate sales showed an increase of 9% in May (1,608 property sales) up from 1,477 sold during May of 2010 and up 6% on April's 1,516 sales. One part of the Fraser valley that is really booming is the Langley Township area. It was reported in the Langley Advance newspaper and website that housing construction almost doubled Fraser Valley real estate since 2010. There are more homes, suites, and apartments going up fast in the Langley Township area, this can be seen especially with the growth of Willoughby Heights real estate and other neighbourhoods. According to the article, the number of building permits for homes in Langley Township has almost doubled in the first five months of 2011 compared 2010. According to MLS® stats issued by the Board of Fraser Valley Real Estate, sales of townhouses in Langley in May were up 25% on May 2010 numbers. The Langley real estate market had however almost 25% less new townhouse listings in May, compared to the previous May. Also in regards to listings, it was the same for detached properties and apartments/condos. New listings for detached properties were down 27% and new listings for apartments or condos were down 25%. There were also slight decreases for both detached properties and apartments or condos in May across all Fraser Valley real estate, compared to the previous May--down 2.8% and 11.9% respectively. The outlook for the Fraser Valley is According to the Canada Mortgage and Housing Corporation (CMHC), housing demand will remain steady as favourable mortgage rates and lower home prices in comparison to other major centres in the Vancouver CMA attract home buyers to the Fraser Valley. You can read the full stats package for May on the Fraser Valley Real Estate Board website. They issue a monthly press release with a summary and statistics document outlining sales and listings for each month. Property sales in the Fraser Valley were up 9% year-on-year and up 6% on April's figures according to the latest stats released by the Fraser Valley Real Estate Board. The Board processed 1,608 property sales on its Multiple Listing Service (MLS®) in May, compared to 1,516 sales the previous month, and 1,477 in May 2010. Apart from sales being up month-on-month, active listings were also up with a 2.9% increase on April with 9,978 active property listings in May compared to 9,697. New listings also showed an increase, with 3,070 new listings in May, up 5.2% on April. Despite monthly numbers increasing for both active and new listings, the year-on-year figures for both were both down--there were 12.6% fewer active listings than there were active during May 2010, and the Board received 11.2% less new listings than received in May 2010. The theme of the Fraser Valley Real Estate Board's press release was "variation". "Fraser Valley Housing Market Shows Local Variation" was the actual full title of the release, and with the increases and decreases mentioned throughout the piece, this was a pretty good headline. Another part of the Fraser Valley real estate variation is home prices. The benchmark prices for detached homes increased year-on-year, yet decreased on April numbers. Benchmark prices are the estimated sale price of a benchmark property, and represent a typical property within each market. The benchmark price for Fraser Valley detached homes was $529,810 in May 2011, up 2.8% on May 2010 numbers. May’s average price for detached homes, also increased on May 2010 numbers--up 11.6% to $630,870. The Board said this was "influenced by the sale of higher-end homes or homes with larger lots". While detached home prices showed increases, attached home prices, such as for townhouses decreased both on a monthly and yearly level. The benchmark price of Fraser Valley townhomes decreased by 1.1% from $328,295 in May 2010 to $324,730 this year. Apartments prices too saw a decrease in the benchmark price, with a 0.5% decrease on May 2010 numbers--from $252,221 down to $250,988. Different areas of the Fraser Valley saw variation in home sale and listings levels too, with Abbotsford seeing decreases across the board year-on-year, whereas Surrey North seen increases in both listings and prices across the board. According to the Fraser Valley Real Estate Board's Housing Price Index, the benchmark price for a detached properties in Fraser Heights was $741,181, an increase of 3.1% monthly and 3.9% yearly. For other areas of Surrey or the Fraser Valley see the full press release at the Fraser Valley Real Estate Board website. Energy Saving Mortgages. A 10% CMHC mortgage loan insurance premium refund and extended amortization period without surcharge may be available when you use CMHC insured financing to purchase an energy-efficient home or make energy-saving renovations. Read more on this at the Canada Mortgage and Housing Corporation (CMHC) website. LiveSmart BC: Efficiency Incentive Program. Tens of thousands of BC home owners are saving energy and money because of their participation in this program. There is lots of great info on this website on environmental rebates and ways you can save money around your home and help the environment at the same time. BC Residential Energy Credit. The Canadian government is providing a provincially administered energy allowance of the British Columbia component of the harmonized sales tax (HST) on residential energy, including electricity, natural gas, heating fuel, heat, steam, kerosene, propane, firewood and pellets purchased for residential use. Find out more on this on the BC Government website. BC Hydro Rebates and Buy-Back Programs for Home Owners. BC Hydro offers several rebates and buy-back programs for appliances to help the environment. Get up to $75 off select ENERGY STAR® labelled clothes washers, dish washers, refrigerators and freezers. They also offer incentives and rebates on everything from windows, to low-flush toilets to home electronics. Read more at the BC Hydro website. FortisBC Rebate Program. If you are making home improvements or just shopping for new appliances, FortisBC provide offers to help home owners save even more money and help the environment. See all the details at the FortisBC website. BC Water Meter Programs. Depending on which city you live in in BC, the amount you pay for your water can vary. Either way, water metering is good for the environment. Find out more, and how you can save money by installing environmentally-friendly water-saving hardware at the City of Surrey website. Surrey's Waste Reduction Challenge is a call to all Surrey property owners and businesses to reduce the amount of waste ending up in landfills by creating less waste, and recycling more. The goal is to achieve a 70% waste diversion by 2015. There are lots of tips on the website for home owners, as well as a contest where you could win a trip for four to Whistler. 2010 was a great year for the Fraser Valley real estate market. The City of Surrey website still carries a feature from June 2010 titled "Surrey Ranks #1 in B.C. Real Estate Market and 4th in Canada". The article described the City of Surrey as the best place in B.C. to invest in the residential real estate market, and the 4th best city in Canada. That was based on a report published by Real Estate Investment Network of Canada titled “Top Canadian Investment Cities”. That report examined factors such as home affordability, income level, economic growth, job creation and population growth. Surrey Mayor Dianne Watts was quoted on the website as saying “For the second year in a row we’ve been named the number one city in B.C. to invest in residential real estate”. It will be interesting to see if Surrey real estate will be ranked number one in 2011, and make it three years in a row. In January, the (then) Fraser Valley Real Estate Board president, Deanna Horn, was quoted as saying that the Fraser Valley real estate market "was a bit of a roller coaster in 2010 with buyers appearing earlier than expected in the year, tapering in the summer and returning in the fall…”. Horn said at that time that "If there’s one lesson buyers and sellers can take from our market in 2010, it’s to recognize there are real differences in home values based on their type and location…". While that statement is true of any real estate market in B.C., it's especially true of the Fraser Valley real estate market. A good example of this is the benchmark prices of condominiums. Last year the benchmark prices of condominiums in North Surrey decreased by 3.8 per cent, while the benchmark prices of detached homes in west Abbotsford have increased by 4 per cent. This year's March home sale activity started strong, with an early spring surge in sales and new listings in February and March seeing a five-year high in the Fraser Valley. April home sales returned to balance after the strong start to the year. It looks like 2011 could be a roller coaster year for the real estate market. April finished with five per cent more active listings on the MLS® than it had in March this year. New listings saw a decrease however, of 14 per cent compared to March. Fraser Valley property prices increased across the board for real estate; detached homes, townhomes and condos or apartments all increased on April 2010 figures. Reasons why the real estate market in the Fraser Valley continues to grow is primarily down to location. With two border crossings to the USA, links to five major highways, deep sea docks, and four railways, it’s easy to see why the Fraser Valley is a prime location to do business and to live. The city of Surrey continues to grow and grow, and the amount of properties for sale in Fraser Heights, Guildford, Walnut Grove and other suburbs show that it's not just the city centre that has lots of inventory available. Talk to us if you need any information on any listings. According to the Fraser Valley Real Estate Board, home sale activity reached a 5-year high in the Fraser Valley in March. In terms of sales, on the Multiple Listing Service® (MLS), Fraser Valley REALTORS® experienced their busiest March since 2006. According to their monthly statistics package, the Fraser Valley Real Estate Board processed 1,818 property sales in March, up 16 per cent compared to March 2010, and up 42 per cent compared to February 2010 when 1,279 sales were processed. There were also big increases in the number of new properties being listed for sale (up 11 per cent). 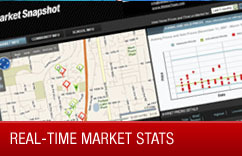 There were 3,376 new properties listed in March compared to 3,038 new listings in February. This gives buyers more choice at a time which is traditionally one of the most popular times to house hunt. There was also good news for anyone selling a property as prices were also on the increase. In March, the benchmark price for detached homes in the Fraser Valley was $519,628, up 0.9 per cent from the the benchmark price of $514,787 in March 2010. The benchmark price is the estimated sale price of a benchmark property, benchmarks represent a typical property within each market. 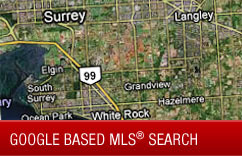 If you are looking to buy or sell a property in and around the Fraser Valley then talk to us. We will be glad to be of service. 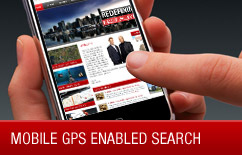 Have a look at all the Fraser Valley properties for sale on our listings page. The Fraser Valley Real Estate Board is an association of 2,919 real estate professionals who live and work in the communities of North Delta, Surrey, White Rock, Langley, Abbotsford, and Mission. For more information on the March 2011 Fraser Valley Real Estate stats or other monthly reports, see the official Fraser Valley Real Estate Board website. Here is a great example of Fraser Heights real estate. This property is listed at 11318 154A ST in Surrey. Don't miss out on this one! THE VISTAS - Fraser Heights' most exclusive enclave of homes perched upon the hill overlooking the Fraser River! Built by renowned developer Morningstar Homes in 2005, this immaculate two storey plus basement is extremely open and looks onto green space with views of the city through the trees. This place is huge! Highlights include 9' ceilings, vaulted living room, dining room, and master bedroom, hand crafted cabinets, real hardwood, granite counters, kitchen island/bar, stainless appliances and great street appeal. The basement was finished by the developer and features a very bright two bedroom suite with full size windows and easy walk out access. This is one big cul-de-sac of architecturally controlled homes, the only one like it in Fraser Heights! This is an extensively renovated show home on a huge lot in the heart of Fraser Heights just two blocks from Erma Stephenson and the High School! This two storey house with full walk out basement is stunning and features: A/C, heat pump, re-conditioned roof, grand entrance with cathedral vaulting, and hardwood flooring through-out the main area. It features high pile carpet upstairs, high end window treatments, granite counters everywhere, full bath on the main floor, huge master bedroom with a spa style five piece ensuite, luxurious bathrooms, elegant fire places, view of the mountains, ten person hot tub and much more. The basement is super bright and is set up perfectly with a media room, recreation room, full height windows and plumbing/electrical rough ins. This really is a gorgeous home and a great example of the Fraser Heights real estate on offer today! If you would like more information on this property, or any other properties listed, just contact us and we will get back to you as soon as possible.